Please either complete the form or email us and we will reply within 48 hours. 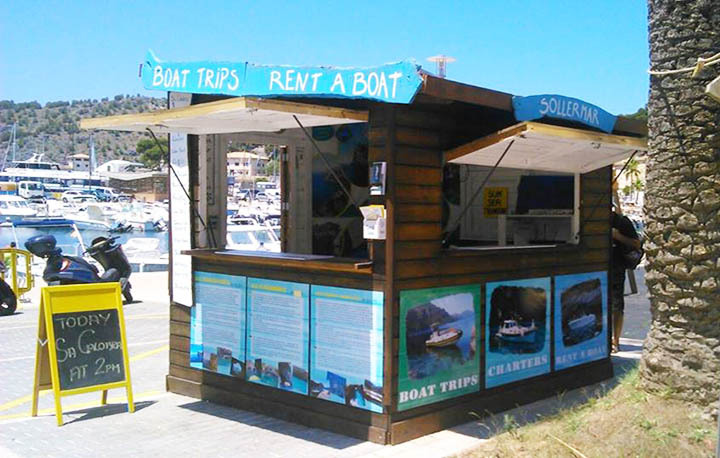 Alternatively visit our office (our picturesque beach hut) which is on the Muelle de Transito (port de Soller) which is the jetty just in front of Hotel Miramar. We are a friendly happy team who want to enhance your holiday by providing great excursions or boat hire at a great price. Please chat to us - we are sure that we can help. In the case that the weather or sea conditions prevent us from leaving the port the trip will be rescheduled or the full amount will be refunded. In the case of no show at the time of departure 100% of the price will be charged. Cancellation free of charge up to 48 hours before.